​STUDENTS IN GRADES 1-5 CHECK OUT the Missouri Reading Programs. Let's get 100% of students to the reading parties in May! MIDDLE SCHOOL GRADES (6-8) Click on the link below to learn about the library reading program. Let's get 100% of students to the middle school reading party in May! The Show Me 2017-2018 State Winner Announced !! The Mark Twain 2017-2018 State Winner Announced! 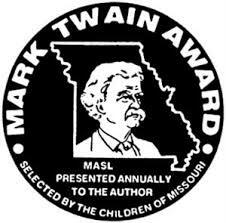 Grades 4-6, click on the Mark Twain logo above to fill out a google form about a Mark Twain book you have read. Make sure to put a sticker on your globe, outside of the library, for each book read. 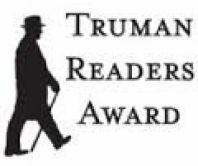 Grades 6-8, click on the Truman logo above to fill out a google form about a Truman book you have read. Ms. Peak will keep track of the books read. Sixth grade may choose to read four or more books from either program. 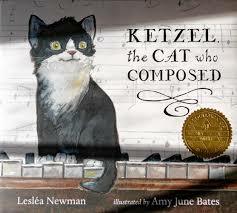 Information about the reading programs can be found under the MORE tab.